Ecommerce Android Apps have been the trend of market in India today. There are many Ecommerce and Food delivery Android Apps that have rocked the market. Another section which has been getting tremendous popularity is Grocery Android Apps which helps users to get all their essential family ingredients delivered to their home without any hassle. This article covers BigBasket App and compares it with other Grocery Android Apps in market like Amazon now, Grofers. We shall be discussing about these in coming articles in details. Out of all the Grocery Android Apps in market now, BigBasket has highest popularity and also some of the best deals by having tieup’s with major credit cards and payment wallets. Given below are few things which impressed us about BigBasket. Faster Delivery and free delivery after ordering with some minimum quantity. Combination of offers and also deals which makes them unique and advantageous over other Apps. Let’s discuss about the above offers, advantages of BigBasket Grocery Android App and BigBasket Deals which can help you get some really crazy offers when you purchase with them. 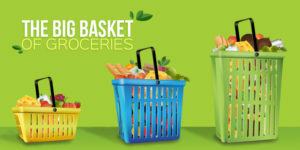 We are referring to the present position when we are writing this review about the offers BigBasket provides for existing customers.There are wide range of offers we have seen in BigBasket to existing users by tieup with Wallets and Credit Card companies which make their deals best in market now. Some of them which we felt worth. Get 100 rupees in Wallet which can be used for your purchase. Attached is the link http://r.bigbasket.com/bigb13tbd-1nq/3 which can open your Google Playstore and the code which you need to add is “bigb13td”. This will give you Rs.100 on your first order. If you have a Visa card, then you can use BBVISA20 which can give you 20% off on your order with Visa Card with minimum purchase of Rs.1000. There are some restrictions on some products. Do have a look. They have tieup with Paytm, the most used wallet to give you 10% on your first purchase with Paytm Wallet. 5% off in first week of purchase and 20% additional discount if you purchase with Citi Bank Credit card and Debit card. These all are definitely something you would love to use with GST kicking in. They still have good deals on Groceries. BigBasket Deals for New Users is similar to other Grocery Apps. 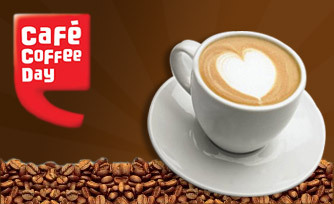 They give good discounts to attract new people with all the above offer’s applicable to new users. Also they have some special discounts in various categories which make them most used Grocery App in market now. With GST kicking in and small retailers still not yet adapted to new prices, it is better for you to get these deals and advantages of GST by purchasing through BigBasket. BigBasket gives next day delivery and their express delivery is also available. AmazonNow and Grofers are very limited to major cities and their deals are very much competitive as BigBasket. There are other Grocery Android Apps like Paytm, Snapdeal competing for the market, but there delivery is very late and their deals are also similar to BigBasket. We would recommend to try your hands on BigBasket Android App http://r.bigbasket.com/bigb13tbd-1nq/3 and share us your experiences.